such business shall be conducted and shall lapse and be void unless renewed. purchased goods or services from such business. ($300.00) for each month during which such violation continues. INFORMATION AND A SELF-ADDRESSED, STAMPED ENVELOPE. 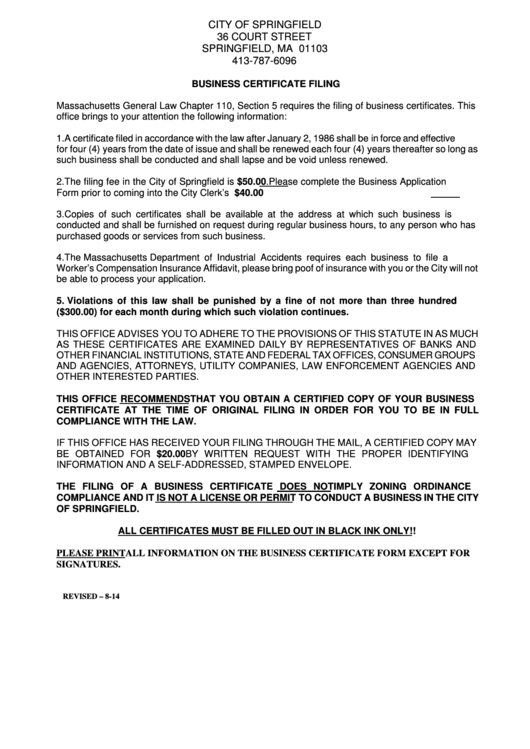 ALL CERTIFICATES MUST BE FILLED OUT IN BLACK INK ONLY! !